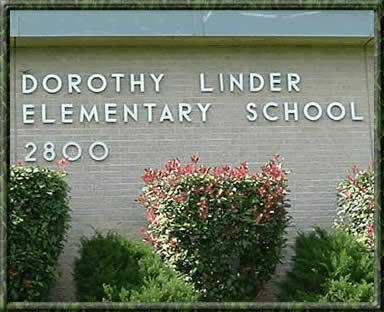 Welcome to Dorothy A. Linder Elementary School - A Texas Education Agency Recognized School. 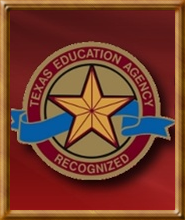 Welcome to Dorothy A. Linder Elementary School - A Texas Education Agency Recognized School. We believe that through its dedication to excellence, the Linder Elementary School Community will promote student success in a way that recognizes individual needs and multicultural backgrounds so that the students will become life-long learners and productive members of society. The Linder School Community is a united campus dedicated to the mission of excellence. We recognize the individual needs and multicultural backgrounds of all our students. Several programs provide a challenging, enriching, and accelerated curriculum. Our students are nurtured and motivated to become life-long learners. Our excellent and cohesive staff develops important competencies through its planned and aligned campus annual plans. Our staff consists of excellent dedicated and well-trained teachers who are certified in Gifted and Talented education, ESL and bilingual education. Our staff development goal is reading expertise for every teacher. Teachers are trained in several reading techniques and programs such as Early Literacy, Project READ, and Frameworks. Our students have several opportunities to accelerate their learning. Two computer Curriculum Corporation Labs feature System l6 foundations and enrichment programs along with a multimedia approach to rapid foreign language development in seven languages and particularly in English. Daily tutorials for TAKS practices are provided before and after school, along with daily scheduled lessons in reading and math. Our GT students are challenged with research-oriented meaningful projects. Music, art, choir and electives are offered. A career path and guidance program assists our students to identify needs and strengths and develop interests. Advanced placement testing is available. A multi-age program provides students with opportunities to advance in two-grade level instructional group settings. A strong Reading Recovery Program is available to students along with a bilingual reading acceleration program. Fifteen adopters help our children read. Incentive programs, as Earning by Learning by Hendrix Trucks and our Farmers Reading Program and St. Edward's mentors promote reading. Other literacy programs include Reading Is Fundamental, Amazing Author Studies, a Linder Magazine, and a letter writing program entitled "We Deliver." Our shared inclusive and supportive philosophy of our students has resulted in a model PRIT (Pre-referral Intervention) process to support our students and staff. Parents are partners in our children's education. Weekly parent workshops extend learning and support to families. Annual Community outreach programs and community building events develop collaboration with our parents. Our parents are strong supporters and proud to have their children at Linder. We are truly a family of supportive learners. Increase student attendance at Linder Elementary. Create a positive school climate for students, teachers, and parents. Increase student knowledge and use of computers. Major initiatives will include a continuation and expansion of the computer lab programs inclusive of expansion to include early childhood education for PK and K as funds allow. Curriculum Alignment efforts will continue in the area of language arts. As strengths and gaps are identified, additional training and development of curriculum will continue. A focus on Math development which includes a problem-solving hands-on approach will continue through training and with the implementation of curriculum and software of this curriculum to promote mastery of math skills and concepts. Ongoing staff development will take place after school, monthly, to continue curriculum development and training in techniques to develop reading. All staff will be trained in ELIC (Early Literacy Intervention Curriculum), Project READ, and Frameworks. All staff will work to become ESL and GT certified. The new Campus Advisory Council process will allow for new ideas and will incorporate an additional avenue for increased parental involvement and participation. The multi-age concept will continue with opportunities for staff development for interested staff and with expansion as possible. The concept of vertical team planning for accelerated learning is being implemented.